Looking for a new apartment is hands down stressful, exhilarating, and remarkably fast – especially in NYC! Thus, these 5 star and 1 star reviews are not surprising for brokers. I have lived in Manhattan and Sunnyside for years, and have worked with many brokers (both wonderful and sketchy). In my experience, Merit Group and Associates earned a FIVE star review because they stayed within my budget and timeline, clearly identified the necessary paperwork I needed to secure the apartment, and went above and beyond to introduce me to the wonderful neighborhood of Sunnyside. 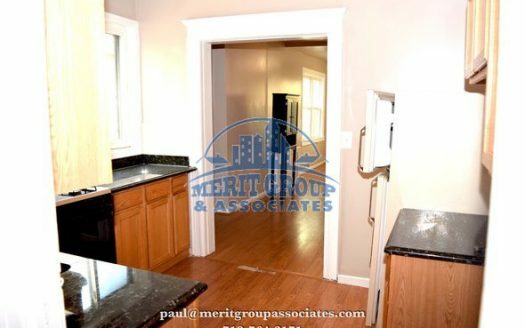 I am recommending Paul and Linda of Merit Group and Associates for anyone looking for competent and hard-working brokers, who will help you find your perfect home. I had a wonderfully positive experience dealing with Linda and her team of professionals when we used them in trying to find my daughter a place in Astoria. They made a stressful time a sheer pleasure and I would recommend this agency to anyone. Very Helpful and Friendly, No Pressure. I stopped in to learn more about the Sunnyside Area, You definitely need a Local Professional like Merit to find the good places in Sunnyside. Linda was most concerned on me making sure the area had the things that I was looking for, and that I would be happy there. I will be returning to look further and work with Merit. We had Paul. We were looking for a 3BR, which I think is usually a difficult size to find. He was able to show us a wide variety of places which both fit into our price range and checklist, from Astoria to Sunnyside. We got a great deal at a great location right at the edge of Sunnyside. We were recommended to Paul and we all recommend Paul. One thing: a couple days before the lease signing we were asked to pay an extra month rent to get the lease (expecting 2 months + broker fee, paid 3 months + broker fee). My roommates were peeved because they weren’t expecting to pay so much up front, and I believe Paul never specified. However, personally 3 months seems standard so YMMV. Overall, we though Merit Group did a great job of helping get us a great place! 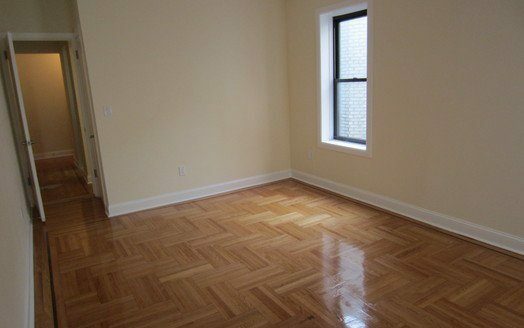 Moving from LIC to Sunnyside, my girlfriend found an apartment through nakedapartments and Anne contacted her shortly after she expressed interest. We arrived at the office and were greeted pleasantly by Anne and an associate. Anne clearly explained the paperwork and when we finished, she was ready to show us the apartment – no wait. The apartment was not the apartment we saw in the pictures advertised; however, it was a very nice apartment. While we looked, Anne waited patiently and answered any questions we had. The tenant was in the apartment and Anne maintained conversation to make it comfortable while we looked through the space. After we left, she highlighted positive aspects of the apartment and area without being pushy, which we appreciated tremendously. A few days later, she e-mailed my girlfriend to offer her availability to answer questions. For us, looking for apartments can be as miserable as buying a car and although we did not ultimately rent the apartment, we appreciated how friendly, punctual, and not pushy she was. Based on our experience, we recommend working with Anne at Merit. Saw a place I wanted to look at on Zillow and Merit was attached to the listing. I went in to meet with them and they were very friendly. We went to see the property and meet the landlord. The place was a perfect match for me and I took the place the next day. I realize that I was very lucky to find a spot so quickly with the help of good people (I’ve lived in NYC area for 22 yrs.) but the professionalism and quick response time of Paul to my questions made this potentially dubious task, actually a pleasure. I half halfheartedly scoped out Sunnyside on my own for two weekends in a row and I could tell I was in for a real challenge. While the location is super convenient and the neighborhood itself pretty amazing, the inventory didn’t seem like much to me as most buildings are older. I’m moving from a new construction luxury bldg with parking so I’m a little biased. Step in Linda Santini-Tripodis and Merit Realty Group. I literally made a phone call last Monday morning (2/24) and said I could be there by 1PM and wanted to know if they had 1 BRs in the area to show me. She confirmed she did and off we went. She said she had a few places to show me and wanted to start off nearby to give me the scope of size available in the area. Again, I had very low expectations. Apartments 1 & 2 met those expectations – I wanted to run. I hung in there because Linda is a charmer and kept telling me there are others that are bigger and nicer. 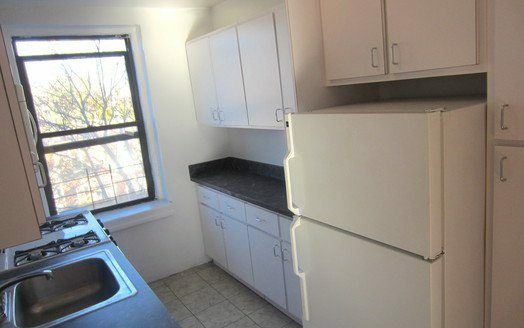 Apartment #3 was a larger place – the kitchen was lacking but finally I have a contender. The next apartment was even larger and had a great layout and covered by trees – also makes the list. We’re on a roll now. 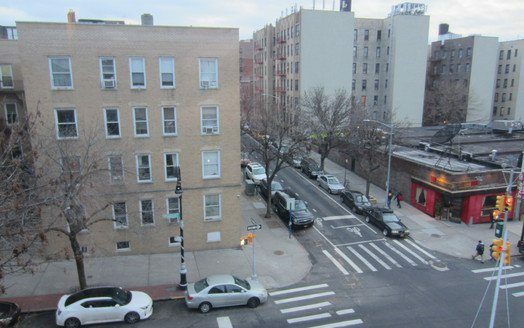 She now takes me to an apartment on the south side of Queens Blvd – I don’t even walk in – there was construction going on right outside the window. At this point I’ve almost decided on apartment #3 and we go to the last place. She indicates she thinks I’ll love it. Door opens, I get a waft of freshly dried varnish as I take sight of the sheer size of the place. Before I actually walk in I exclaim, “I’ll take it”. 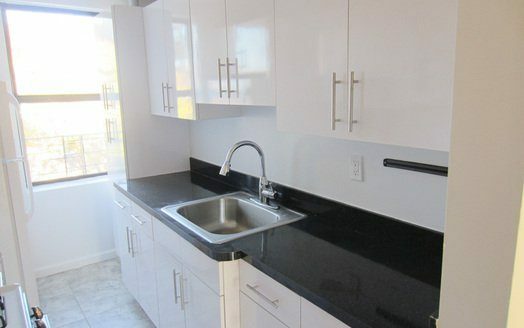 Completely renovated 933Sq ft 1BR – all brand new doors, electrical devices, skim coated walls and what a kitchen. The kitchen has real tile floor and all brand new cabinets, real marble counter-top and stainless steel appliances: range, fridge, microwave and dishwasher. All this on the first floor facing the front which I prefer and 1.5 blocks to 7 train. Where do I sign? I got all my documents to Linda that same night and was approved in 48 hours. Not sure why all the negative reviews for the agency but I’ll just say this about my interaction with Linda and her team – they were fantastic! Consummate professionals who know their product and neighborhood. I was fully expecting to deal with sleazeballs (sorry – it’s a stereotype, I know) but instead, I found a great group of people who made my life infinitely easier and literally won me over very early on. Not once did she try up-selling me or showing me stuff without explaining why she wanted to show me certain features (or lack of). Anyway, I thank these people for their work and highly recommend them. Needed a broker fast and walked into Merit Group in a frenzy to find something for my cousin. Could not have been a more pleasant experience. Linda was knowledgeable, friendly and determined to find me what I was looking for. She spent time with me listening to all my demands and questions and never left my side. She got back to me as soon as I called or text her. Her whole office was professional and made me feel relaxed and not like I was being roped into something just so they could cash in. I was difficult and neurotic at times and Linda made me feel at ease and never pushed me into something or gave up on me. She really had my best interests at heart. Truly recommend Merit Group as they made me a truly satisfied customer. First of all, I never write reviews. I read all of them but have never written one. But after seeing so many negative reviews here I had to comment about my experience. I met Paul, one of the agents of Merit to see an apartment in Astoria. I didn’t like it but since he could show me more options in Sunnyside he drove me to his office to pick up keys. While we were in the office he found a new listing that came out that day and that apartment happened to be our dream home 🙂 I put an application right away and Paul and Linda helped us get approved the very next day. Lease signing was scheduled for the next day and we moved in on the same week! It was a really quick and easy process only because Linda (the other broker) was on top of this. We signed the lease within 2 business days after putting the app. It can’t be quicker than that!!! It’s a big elevator building under major landlord so it could’ve been a longer process, I’m thankful they made it happen. We had some problems after we moved in because the appliances were not installed yet. You know big managements can be slow on that kind of matter. While I was kept contacting the management, Paul and Linda checked on me and when they heard we had problems, they contacted the management to push them even more. I got all the appliances 2 days after I moved in! 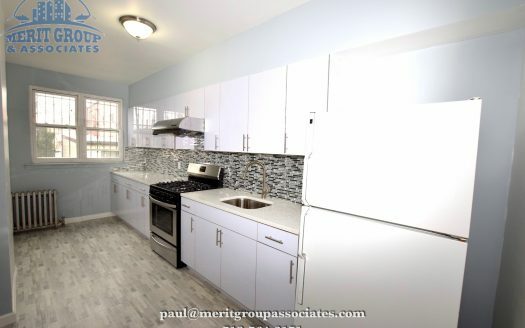 Paul was happy when we finally got them 🙂 I dealt with +10 other brokers in Astoria, Sunnyside area, Paul and Linda were the only ones who provided the Disclosure form (legal documents to protect applicants) and the only two who were not sneaky and dishonest. They were very pleasant people to work with, and I love the apartment we are in. Highly recommended to anyone who’s looking for their new homes in Sunnyside! 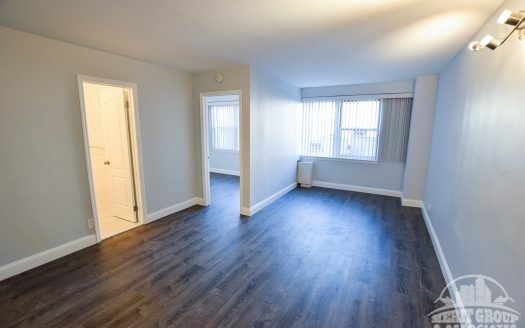 Apartment hunting has been a nightmare for me. Aisha was eager to help me find a new place in Brooklyn. She was great at communicating and flexible with scheduling as my work hours are odd. She asked me questions to better understand what I was looking for which I appreciated because she saved me time in the long run. I felt compelled to write a review after seeing someone complain about her as she was very informative about the neighborhood and took me to go see multiple buildings. I agreed to meet Aisha at a coffee shop near the apartment so we could go over paperwork because realtors are not allowed to give out addresses until a disclosure form from the Department of State has been signed. My experience with Aisha was extremely pleasant and I would recommend her to anyone looking for an apartment because unlike other realtors, she was honest and compassionate. 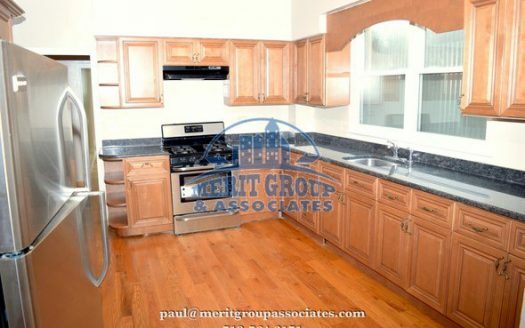 My wife and I were looking for an apartment in Queens and came to Merit Group & Associates for help. Aisha took great care of us and helped us find the ideal place for us to live. She even rearranged her plans to accommodate our schedule and to ensure that we got a head-start on the apartments we were most interested in (really nice places go fast in Sunnyside these days).? 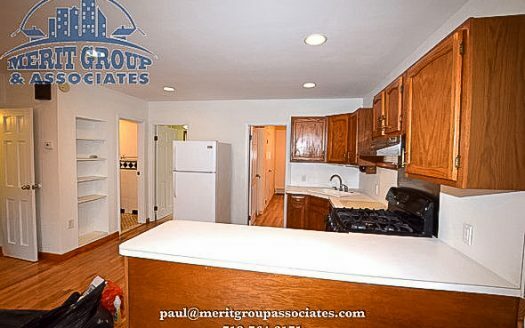 ?We are thrilled with our new apartment and everyone at Merit Group made us feel very comfortable. Linda, the owner, is very professional and helpful. The entire experience was extremely positive. We would definitely recommend this company to our friends and hope to do business with them in the future. We worked with Aisha to find our apartment and she was incredibly sweet & accommodating of our budget and any concerns we had. When our application got rejected for one apartment, she found another place for us right away and we were accepted within a day. She also worked hard to get us a refund from a shady management company, and kept us in constant communication. I’d definitely recommend her. I highly recommend Linda Santini Tripodis .She knows the Sunnyside area well and was so nice to work with. I needed a studio in Sunnyside and had become extremely discouraged by several other shady and unresponsive brokers that wasted my time. Linda quickly found just what I needed, expedited the paperwork, and kept me informed along the way. Don’t waste your time anywhere else. Hey, I had the pleasure of doing Business with the Merit group. From the moment I walked through the door I felt at home. Linda and the gang guided me and made me feel comfortable. What truly sets them apart is that they go the extra mile for you and I truly appreciated that. I also loved that Linda’s mom works with her made me feel so at home. If you need a place in queens give them a try. They get it done. These guys are the best! After listing my apartment with several brokers (including a few ‘big names’) to no avail, I was referred to Merit Group. They were honest, attentive, and very knowledgeable about the rental industry in the area. They immediately jumped into action, and found a great tenant for my apartment in a fraction of the time it was listed by any other broker. ?I recommend these guys 100%, especially if you’re looking in the Sunnyside, Queens area. Don’t even waste your time with anyone else. ?P.S. Yes, they’re busy (because they work so hard), but a few phone calls is a small price to pay for the excellent and fast results you get! The team at Merit Group Realty is awesome! I told them what I was looking for and they found it. Very nice helpful people, would totally recommend them. This is the best realty company in Sunnyside. They worked very hard to find an apartment for me at the end of the month. And did not waste time showing me apartments beyond my budget. She really saved me after I wasted weeks dealing with Sheik, a dishonest and cheating broker. He lied about the availability and price of no-fee apartments. If you decide to get a broker, I highly recommend Merit. Give Linda 2+ weeks to find you an apartment and they will find a place that meets your needs and is within your budget. Crystal was my agent. and the first place that she showed me was THE ONE! Even though there was a small time table to say whether I wanted the apartment or not, I never felt like she was pushy or trying to just make the sale. As a new resident to NYC and the housing market, I was a little overwhelmed and frustrated by Craigslist and other free – agencies — Crystal understood what that was like and was well worth the agency price. I would highly recommend her! Very helpful and knowledgeable. Very friendly, and willing to go the extra mile to help in any way possible. Definitely would recommend to anyone looking to move to Sunnyside. They make the entire process simple and comfortable. 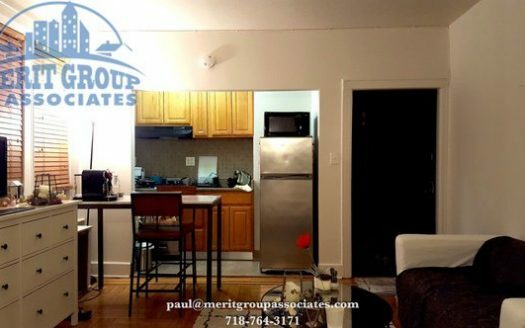 I had a great experience with Merit Realty Group..after going through many sketchy brokers, various misleading craigslist ads and viewing numerous mediocre apartments.. I wanted to give up and felt like I would never find a great apt in my price range in the area I wanted..until I fell upon Merit Realty Group in Sunnyside and met with Crystal who was very down-to-earth, honest and understood what I was looking for.. and I finally found it! I couldn’t be happier! Very hard working, and know their business. If you want someone who will work their feet off for you, ask for Crystal! She ‘got’ us and what we were looking for! Would definitely use them in the future. Hello, I was looking for an apartment in Sunnyside and I called Merit this past Saturday. Linda set an appointment for me to see the place at 4:00 PM. she showed us 3 places that were all in our price range and match our requirements.. She is knowledgeable about the area. I could not recommend anyone better than her. I don’t have the place yet but she did everything I would expect from my broker. Great service!! Great attitudes down to earth and HONEST!!!!!! Honesty is the Key with Merit! No Lies, No BS. Will tell you the Honest Truth. Linda Is Great. She is The Broker. Great place, great attitude, very helpful, And Honest!!!! !